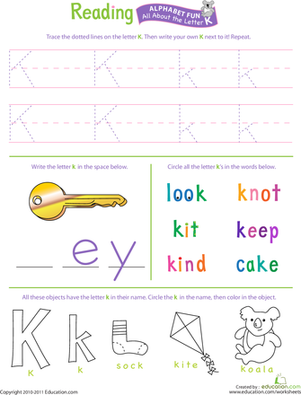 This worksheet is perfect for a young child who is learning to write the lowercase letter k or needs a little extra practise. Notice the shape of the k at the top of the page. 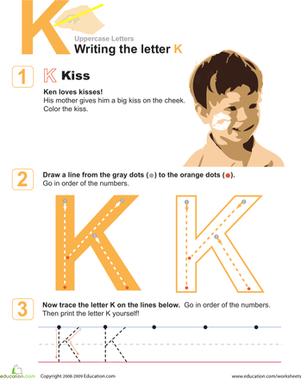 As you read the instructions to your child, ask him to follow along and point out the letter as it appears. 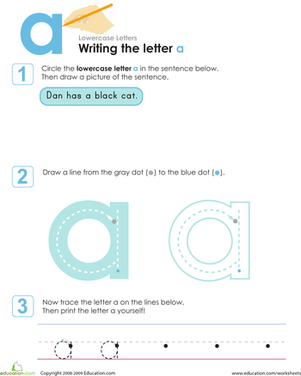 Then, show him the proper way to trace the letter before writing it on his own. 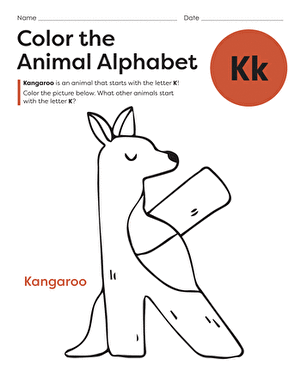 This fun alphabet coloring page will have your child coloring a cool kangaroo while learning the shape and sound of the letter K.
Teach the letter K with the help of two cool kangaroos. 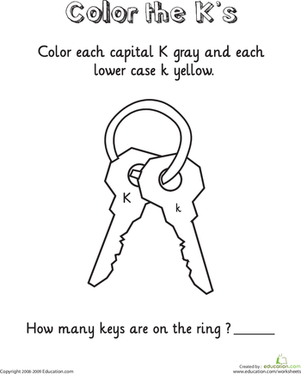 Key begins with the letter K! 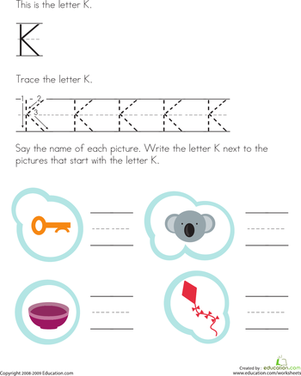 colour in the flashcards featuring the letter K then cut them out and use them to play memory and spelling games. 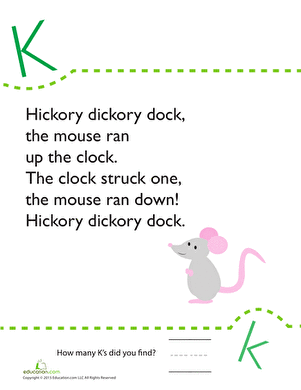 Get your child up to speed with his reading skills with this printable poetry worksheet that's all about the letter K.